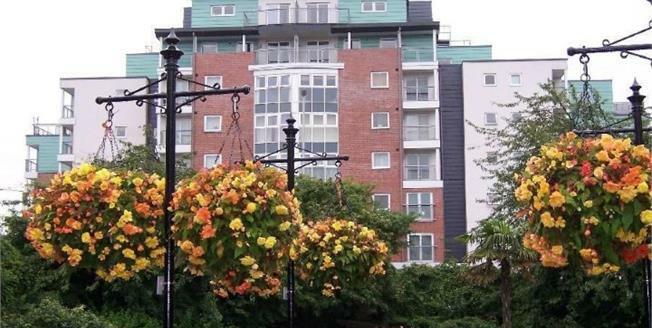 Generously proportioned two bedroom apartment with spacious accommodation comprising: entrance hall, open plan lounge/kitchen, master bedroom with en suite shower room and access to a balcony, second double bedroom and family bathroom. The property has an allocated parking space found within the buildings car park. The flat is found on the ground floor but appears a little higher than street level.